The Travel Photography Awards encourage excellence and creativity in the genre of travel photography. “Great travel photos tell the story of a place – documenting the people, the land or the culture found there, with no geographical limitations”. But remember, you don’t have to have travelled to Timbuktu to enter (though if you have, send us your photos)! Great travel photos can just as easily be taken in your home town. As long as your imagery tells a story about a place, they can be considered travel photography. With that in mind, we encourage you to submit your best five travel photos for a chance to win one of a number of incredible prizes, from an amazing 7 night / 8 days photo trip to Tahiti with world renowned travel photographer Chris McLennan, through to a professional DreamColor Mobile Workstation from HP. PRIZE DETAILS: GRAND PRIZE WINNER (highest scoring portfolio): 7 night / 8 days photo trip to Tahiti with Chris McLennan.PLUS: AquaTech underwater prize package including AquaTech Sport Housing, Lens Port, Protective Cover, Bag and Leash - all for the camera of your choice (not including camera), Lowepro Rover Pro 45L AW camera backpack, Lowepro Passport Sling II, Lexar 32GB memory card (CF or SD) and card reader. RUNNER UP WINNER: Nikon D600 Kit including 24-85mm Lens. PLUS: Lowepro Photo Sport 200 AW camera backpack and Lexar 16GB memory card (CF or SD). HIGHLY COMMENDED WINNERS: Nikon Coolpix AW100 waterproof, shockproof, freezeproof compact digital camera. PLUS: Lowepro Photo Hatchback 22L AW camera backpack and Lexar 16GB memory card (CF or SD) each. ROOKIE WINNER: Nikon D3200 Kit including 18-55mm Lens. PLUS: Six months of on-line mentoring with Chris McLennan via e-mail and Skype calls; including image critiques, business advice and photographic guidance. A free copy of Chris’s Travel Photography Tutorial and Pocket Field Guide and free entry into next year’s Travel Photography Awards. Lowepro Event Messenger 250 AW camera backpack and Lexar 16GB memory card (CF or SD). All winners and finalists from Stage Two of the judging onwards will receive winner/finalist certificates. All winners will be included in the online Winners Gallery. ELIGIBILITY: International / 18+ Not eligible to enter? - Find contest where you are. All images submitted as part of an online entry will be displayed on the Travel Photography Awards website. 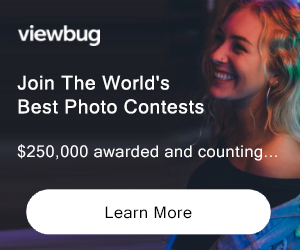 As part of the voting process for the People's Choice award, a thumbnail from the entrant's portfolio may also be shared on Facebook with a link back to the awards site. Finalist and Winning images will be displayed in the online Winners Gallery on The Travel Photography Awards website. Finalist and Winning images may also be published in print as part of a Winners Gallery in specific magazines contracted to publish the same on behalf of the Travel Photography Awards. All such appearances will include the entrant’s full name and their finalist or winning position within the Awards. Finalist and Winning images plus the entrant’s full name and their finalist or winning position may also be used in PR opportunities and future advertising relating to these awards, or to the advertising and promotion of future Travel Photography Awards.